As we reported last month, the Government of Canada has restored the prefix "Royal" to her Navy and Air Force. The designation, originally granted by King George V in 1911, was removed by the socialist government of Pierre Trudeau forty-three years ago. The restoration has met with overwhelming support throughout Canadian society. Most recognize the "Royal Honours" as an important link with Canada's glorious military heritage, and a link between serving military personnel today and the heroic forces who fought at Vimy, Juno, the Battle of the Atlantic and the Battle of Britain. 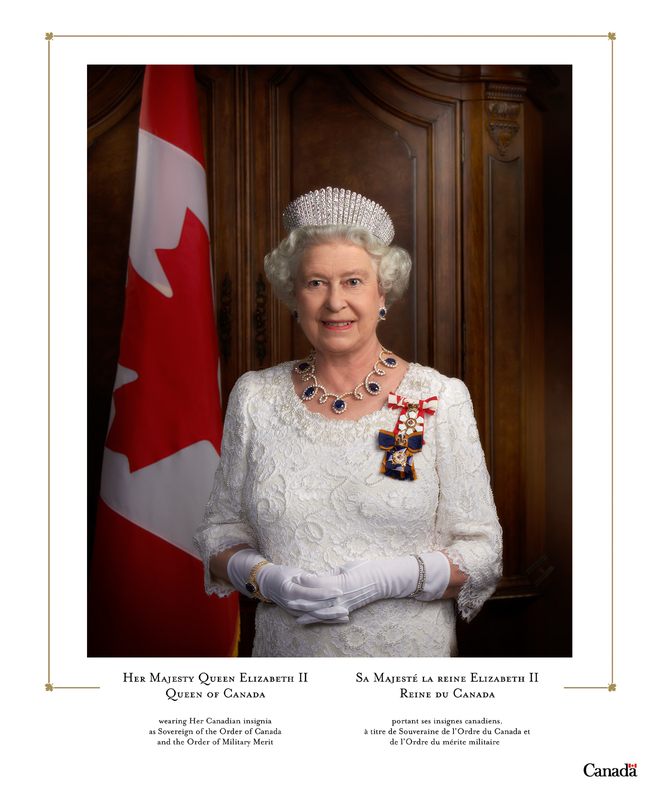 We are especially proud that our good friend, Padre Gregory Benton, author of the beautiful and inspirational Canadian blog, Piddingworth, played a key role in the campaign to return the Royal titles. The following, written by Mr. Benton and fellow campaign organizer Mr. Michael Smith, tells the story of their four-year fight to restore this important part of Canada's military heritage. To reinstate the long-established names of our armed services supports the Canadians serving in harm's way around the world, is respectful of our veterans, and is good for our nation. With the suppression in 1968 of the RCN and RCAF a significant part of Canada's military heritage was lost. Now, forty-three years later, the historic identities of the Royal Canadian Navy, the Canadian Army and the Royal Canadian Air Force have been restored to the Canadian Forces. Our campaign to restore the "Royal Honours" began in 2007 by making optimal use of the tools available to us. There was an online petition, a website, a blog and the use of promotional and patriotic videos. We eventually gained access to thousands of comments and email addresses from signatories of the petition that were especially used to maximum effect during key moments of the campaign. A reconnaissance of the matter revealed the certain minefields that lay before us: the emotional hot-button issue of 'unification', the symbolism of the prefix 'Royal', the invariable canard over 'cost' and 'effort', political and cultural biases, and even the monarchy itself. It was important for us to avoid these distractions and remain focused on the task before us: to convince the government of the virtue of restoring the Royal titles within the existing unified command of the Canadian Forces. Not unexpectedly, we encountered some stiff resistance. When MP Laurie Hawn agreed to sponsor our petition in 2007, researchers in the Library of Parliament wrote that it would take mountains of paperwork, require royal proclamations and up to 67 statutory amendments to enact. While we were prepared to move Heaven and Earth, this torrent of misinformation was a setback that did somewhat delay our progress. Fortunately, in due course, we received the opinion of Dr. Christopher McCreery, an authority in the matter of 'Titles and Honours', who confirmed that the RCN and RCAF were never actually abolished, that they indeed still subsisted as merged entities within the CF, and that the Minister of National Defence could simply resume usage of the titles by virtue of the executive authority already available to him. We had thought that the then-upcoming Canadian Naval Centennial would be the catalyst to 'Give the Navy its name back!' as Senator Joseph Day so passionately argued in the media, but head of the navy Vice-Admiral Dean McFadden's 'don't rock the boat' message sent a negative chill throughout the navy that spilled over into the Naval Officers Association whose support we thought critical. Although we were perplexed by Adm. McFadden's lack of enthusiasm for our project, he may have foreseen that the restoration of our military and naval heritage and the symbolism of monarchy were mutually reinforcing in a potentially powerful way, and that the navy may not be immune to possible divisions emanating from certain quarters of the country. The admiral had 'bigger fish to fry'. Things were moving rather slowly until, incredibly, in October 2010, a motion by Senator Bill Rompkey to change the universally unloved 'Maritime Command' to (not the Royal) 'Canadian Navy' made it onto the floor of the Senate. When the Standing Senate Committee on National Security and Defence chose to hold hearings on the matter, we knew that things had finally come to a head. It was then that we were called by the Prime Minister's Office. We learned that PM Harper was sympathetic to the restoration (initially this only concerned the Navy though it only made sense that the Air Force would be included as well), but that the government would remain neutral while the matter was being deliberated in the Senate. We were advised that although the petition was informative, it was imperative to demonstrate the support of most, if not all, veteran groups and ex-service associations, as a necessary precondition to government action. We were also encouraged to keep the MND and the PMO abreast of our progress. The Senate hearings proceeded, albeit with an apparent bias in favour of 'Canadian Navy', even though most senators on the committee, led by Senators Day, Plett and Manning, argued in support of the navy's traditional designation. When we blitzed the Senate Committee with what the Chair, Sen. Pamela Wallin termed our 'orchestrated email campaign', it was to ensure that the senators were aware of the names of the thousands who had signed the petition; especially after one retired admiral testified that he had not met a single person who wanted a return to the RCN! Over the next eight months, a collaborative relationship with the PMO developed which, while not a guarantee of success, gave us a growing confidence that culminated on December 14th, 2010, when the Senate unanimously passed a revised motion encouraging the government to adopt a title with the word 'Navy' in it. We sensed victory. The prospect of the "Royal Canadian Navy" would live to fight another day. The imperative to win further support from stakeholder groups did, however, seem to present a rather daunting challenge. Although we undoubtedly had the overwhelming favour of veterans at the grassroots level, we were disappointed that the national executives of the Naval Officers Association, the Air Force Association and even the Royal Canadian Legion were all initially opposed, arguing that the government would not be able to defend either the effort or the cost. Not confident that they were speaking on behalf of their membership, we communicated directly with individual branches and organisations across the country, with very positive results. This included literally dozens of associations, most especially the National Council of Veteran Associations, an umbrella organization representing 58 distinct veteran groups all led by Canada's beloved 'Mr. Veteran', Cliff Chadderton. These results would make the government sufficiently comfortable, but the effort to maximize stakeholder support would continue until the eve of the Minister's historic announcement made from HMC Dockyard Halifax on 16 August 2011. We are enormously gratified that our campaign was successful, for our deserving veterans and those retired and serving members of the forces who have long dreamed of this day. That a solid majority of Canadians, across all spectra, support the restoration is tremendously satisfying. May the RCN and RCAF remain impregnable fortresses from this day forward, and may the pride of our military men and women be well served because of it. Michael Smith is a graduate of the Royal Military College of Canada and a former naval officer. Gregory Benton is a past Regimental Chaplain of the Royal Regiment of Canada.